All right, perhaps ‘sit back and watch’ is not exactly what the Lightning should be doing, but they could. They’re a healthy 16 points up on the second-place Maple Leafs in the Atlantic — and the runaway favorites to win the conference. Toronto, meanwhile, has hit a bit of a rough patch. A truly awful game on Monday saw boos fill their home arena, as the Avalanche stomped over the Leafs in every facet of the game. Their offense has gone dry, they’ve completely abandoned the concept of defense, and just look lost. Toronto has lost five of their last seven games, and they’re in danger of falling all the way down to a wildcard spot. Don’t believe me? Both Boston and Montreal are one point back of second. Other than first place, the Atlantic is wide-open, and it’ll be a crazy race to the finish. Tampa Bay went 2-1 on their road trip, ending it with a 2-0 win against Dallas. A strong performance from Andrei Vasilevskiy and a clinic by their penalty kill saw them frustrate the Stars to no end. The Lightning were shorthanded on six separate occasions, but they were perfect. They now return for a short two-game homestand before heading for the road again. 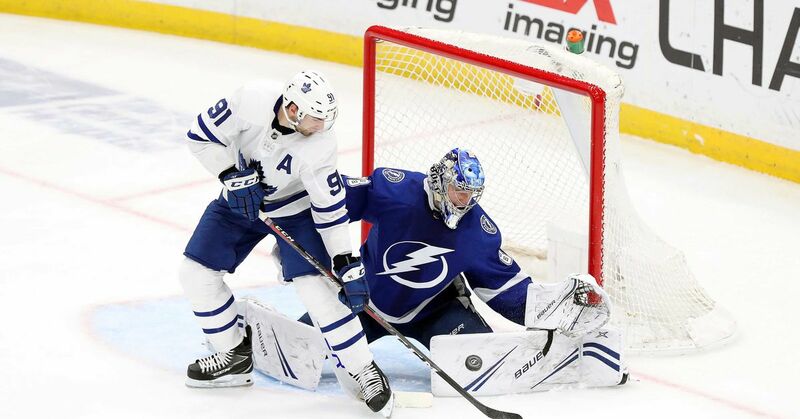 Despite their strong showing against Dallas, Tampa cannot (and should not) sit back against Toronto. If the game against the Islanders (where they allowed three goals on five shots in the first five minutes) was any indication, slow starts can cost them. The good news is that the Leafs are also (infuriatingly) slow starters. It might be a really boring first few minutes. Toronto is hungry for a win right now, and if the Bolts hand it to them, the Leafs can run away with the game. But it could also go the other way — Toronto has to know this Bolts team can score at will, especially as of late. It may just come down to who has the better defensive performance.